My name is Saul and I’m 6 years old. I live at 36 Hope St. in Preston with my 13 year old sister called Ieva and my mum and dad and my cat named Bell. I am in grade 1 and I go to Bell Primary school. I have half an hour swimming lessons. I like to draw, play on the ipad and play with my friends. 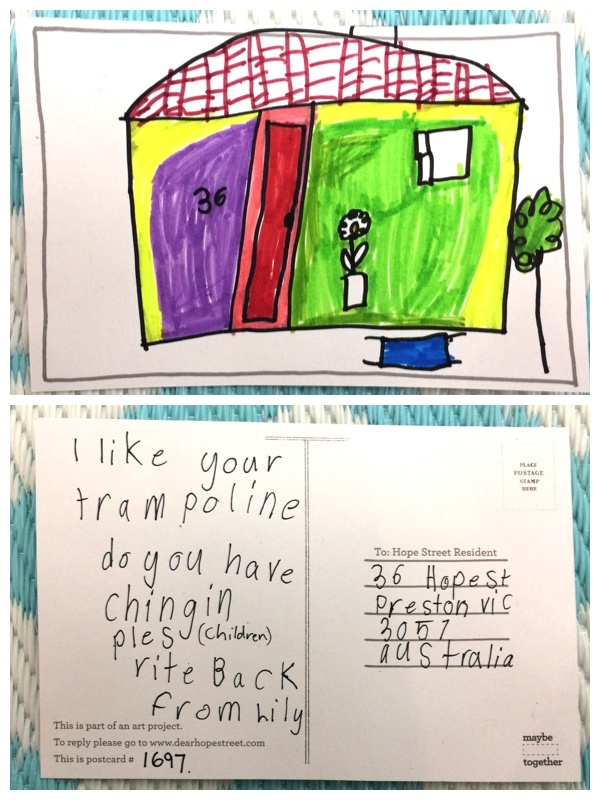 It was exciting to get a Post card from Perth. Bye . From Saul & family.